Apple has released the fifth beta versions of iOS 9.3.3, OS X El Capitan 10.11.6, and tvOS 9.2.2. The new beta builds likely continue to improve on existing bug fixes, security enhancements, and minor adjustments as they march towards a wider general public final release. Users who want to get the latest beta version of iOS 9.3.3, OS X 10.11.6, or tvOS 9.2.2 can do so through the built-in Software Update mechanism through the Settings apps or App Store. There is no known timeline for final versions of OS X 10.11.6, iOS 9.3.3, or tvOS 9.2.2 to be available to the public, though the final builds of these releases likely due soon as Apple typically goes through multiple beta versions before pushing out a final release to all users. With that in mind, we could reasonably expect to see system software updates available later in the month. It’s unclear how many people are beta testing the smaller point release updates of system software given that Apple has simultaneously occurring beta versions of next-generation operating systems, including iOS 10, tvOS 10, and MacOS Sierra 10.12. 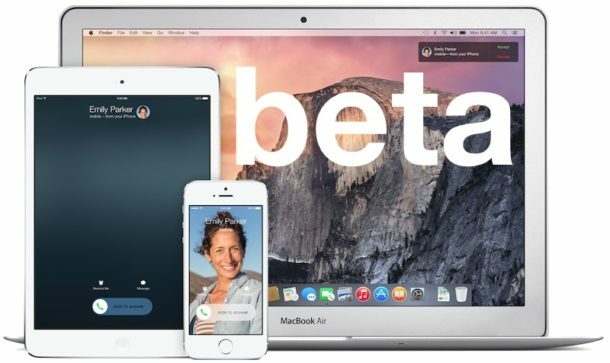 Currently iOS 10 beta 2 and MacOS Sierra beta 2 are the latest versions of major system software in concurrent beta testing, which are due for a public beta soon, and a fall final release. Hard to think of a less inspiring beta version, why run this when you can run iOS 10? I was able to download Beta 5 but it won’t install. Now what?